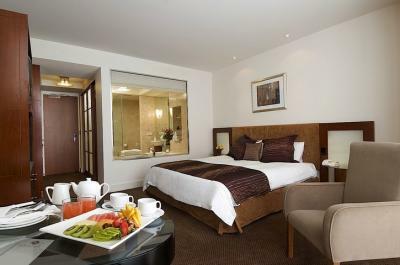 Rendezvous Grand Hotel Adelaide is a five star (AAA) hotel known for its friendly service, luxurious rooms and great facilities. The hotel is located in the city centre and offers guests some unique savings: free wi-fi, free local telephone calls and significant savings on laundry services and mini bar prices. The hotel is well regarded for its unique and luxurious bathrooms and floor to ceiling windows.